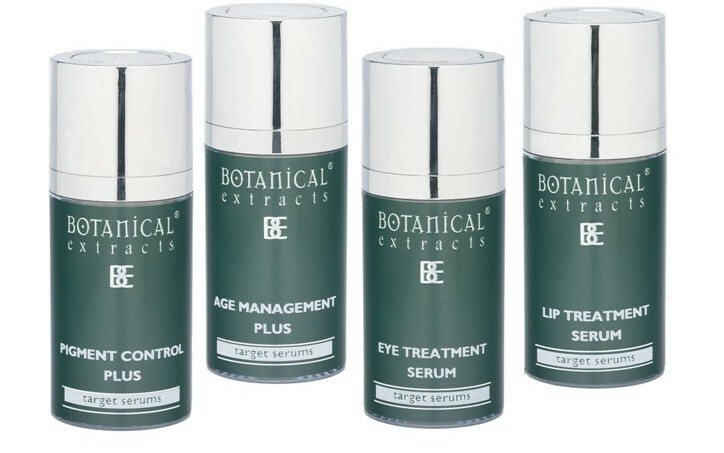 Botanical Extracts Target Serums & Serum Care productshave been developed over the years to provide the highest concentrations of very focussed actives. Formulated with the ingredients released from research facilities in Milan, Barcelona and Paris, each of these products delivers a new level of performance results without surgery, lasers or the 'Nasties'. All BE Target Serums & Serum Care include powerful poly radical scavenging (PRS) ingredients to deal with the free radical "Nasties" the skin can't metabolise.